The 2017 Cheltenham Gold Cup is set to steal the show on Friday with one of the most open renewals we have seen in years. Pundits are very divided on which horses will come out on top, with several competitors having taken major Grade 1s in Ireland and the UK this season. There's plenty of value to be had beyond the feature race, including an appearance by one of the festival's most popular bankers to date in the Triumph Hurdle. Here are our picks for day four of the 2017 Cheltenham Festival. Unbeaten in six races, and won by large margins in his last two. After yesterday's big upset in the Stayer's Hurdle you can't take anything for granted, but this horse is as much of a banker as you'll find. Here's a horse who has put away some talented horses in his hurdles career and places very consistently. Won't have any issues with his weight and at 12/1 is a nice each-way prospect. Has recently had some big wins over this race distance and excellent form overall. At 11/1 - good value on your each-way bets. In a Gold Cup that is so open that no horse has been priced under 3/1, many people are backing the Walsh/Mullins team that has been cleaning up at the Festival. However, Cue Card will want to have a say in this matter and after a 17 length win last time out can't be ignored. Still priced high enough for an each-way bet, he's our pick. Unbeaten in eight races, often leaving the field well in his wake. At 34/1 all you need is a 4th place from this horse to make your each-way bets trigger a big return. Won his last race over this distance by 38 lengths and carrying a weight he'll be comfortable with. In decent form and has beaten or challenged some of the top young hurdlers in jumps racing in his career. At 7/1 he's good for an each-way bet. Be the first to get notified on new updates and offers. 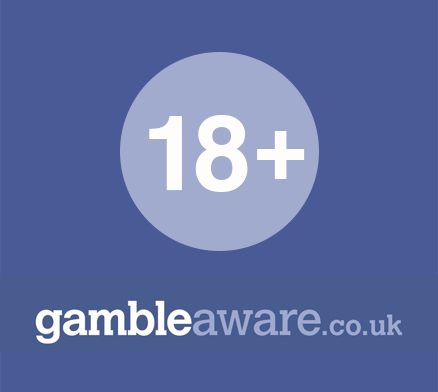 Visit Gamble Aware for more information.